Most likely this has happened to you: right in the middle of a surf session you get a ding on your board. Now what? If the conditions are great you definitely want to continue your session. And if you are on a surf trip on the other side of the world you will need a quick and easy solution: something like a first aid kit for your board. That’s why we have developed SURF GUM together with a leading European epoxy expert. 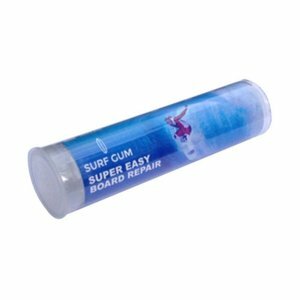 SURF GUM is what we always wanted for ourselves: "super easy board repair". It will get you back into the water in only 20 minutes. Guaranteed.